The attached file is for TouchOSC, the touchscreen control surface app for your mobile device. 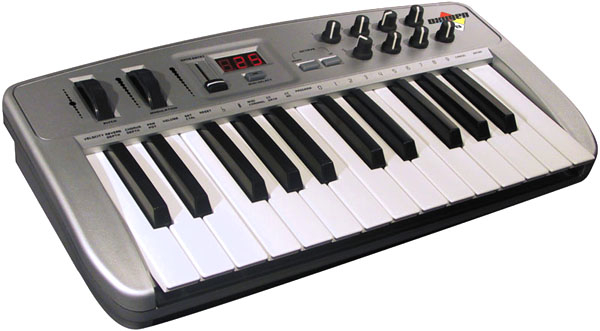 It emulates the functionality of the famous “Oxygen 8” keyboard when used together with Ableton Live. 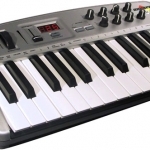 The Oxygen 8 is a small Midi controller keyboard with a keyrange of two octaves and eight rotary knobs for controlling parameters in your audio software. It became popular as one of the first compact mobile studio solutions when everybody started to produce music on the go with a laptop. As one of the first devices of it’s kind, it offered power supply through the computer’s USB port. 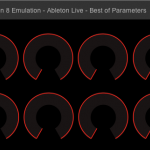 This simple emulation has the Oxygen’s eight knobs. 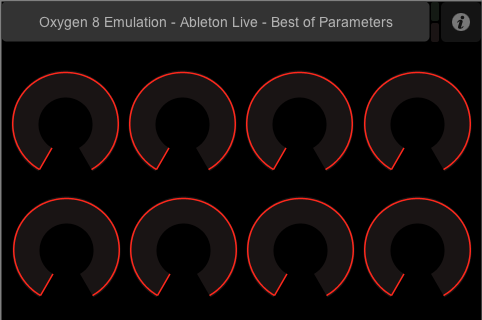 This fact in itself isn’t very impressive, but if you use it with Ableton Live and in Preferences/Midi you select “Oxygen 8” as a control unit, these eight knobs will be automatically mapped to the “Best Of Parameters” set of parameters predefined by Ableton for every device. So without any manual mapping you will have access to the most important functions of this software. As a bonus the TouchOSC system is not only smaller and more light-weight than the original keyboard, but it has TouchOSC’s relative mode enabled, which means that you won’t have any parameter jumps when switching between devices and touching the knobs. And if you are missing the keys: Well, you may of course add them into some other tabs in the layout. Simply refer to my version of the “Keys” standard layout and copy and paste it to the Oxygen 8 layout.